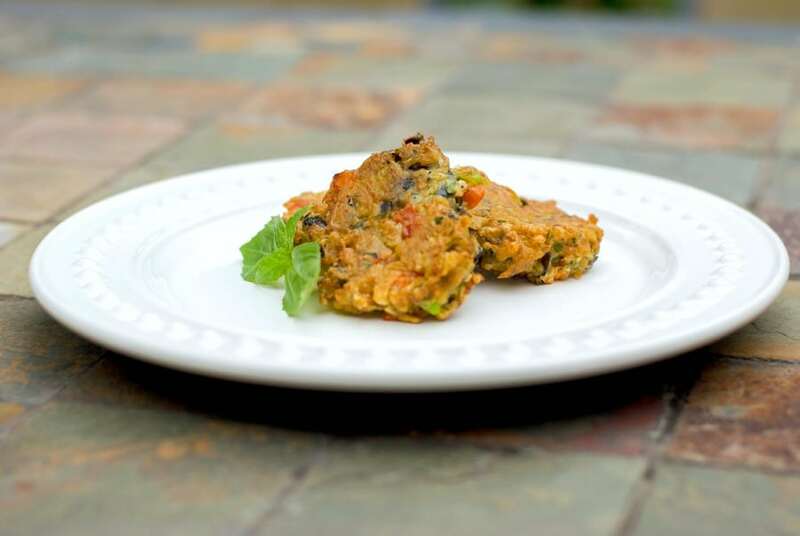 Learn how to make this tasty Greek style side dish for Eggplant Fritters with grated eggplant, garlic, basil, tomatoes and scallions. About two years ago, I had my first fritter while vacationing in Greece. 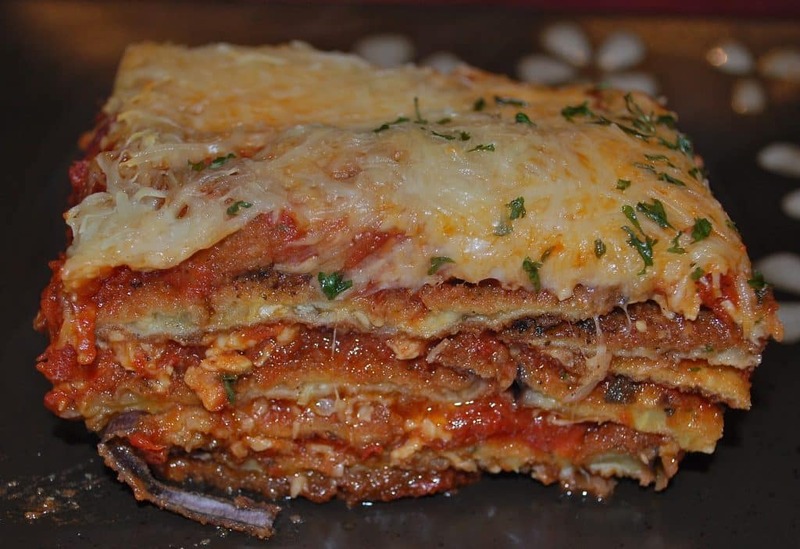 They were made with zucchini and I loved them so much, I even made my own version upon my return and added the recipe to my cookbook. Before leaving for vacation, I was trying to clean out my refrigerator and realized I had an eggplant in there that I never got a chance to use. I do that all the time. I go to the farmers market. Purchase so many fruits and vegetables that I can’t possibly eat in one week, then go on a cooking frenzy trying to use them all up in different ways before they go bad! 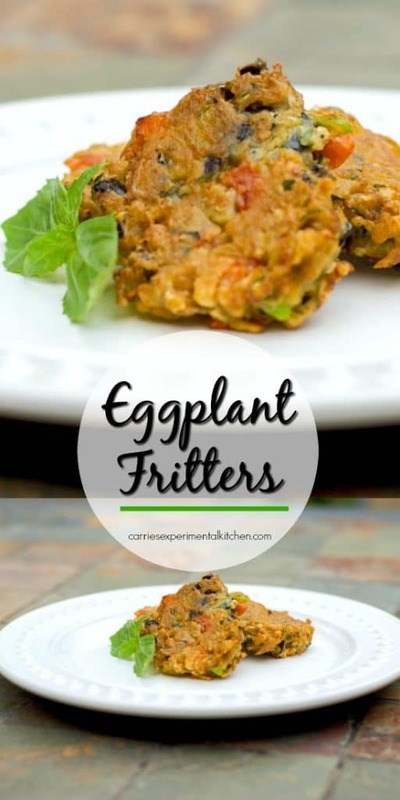 To make these Eggplant Fritters, start by rinsing the eggplant under cold water, remove the top and bottom; then grate the eggplant using a hand grater or food processor with the grater attachment. Place the grated eggplant in a clean dishtowel and squeeze out any extra liquid; then add to a bowl. Next, add the garlic, basil, tomatoes, scallions, egg, flour, and baking powder to the eggplant and mix well. If the mixture is still a little too wet and won’t form a small ball without falling apart, gradually add a little more flour. Heat some oil in a large nonstick saute pan over medium to medium-high heat. 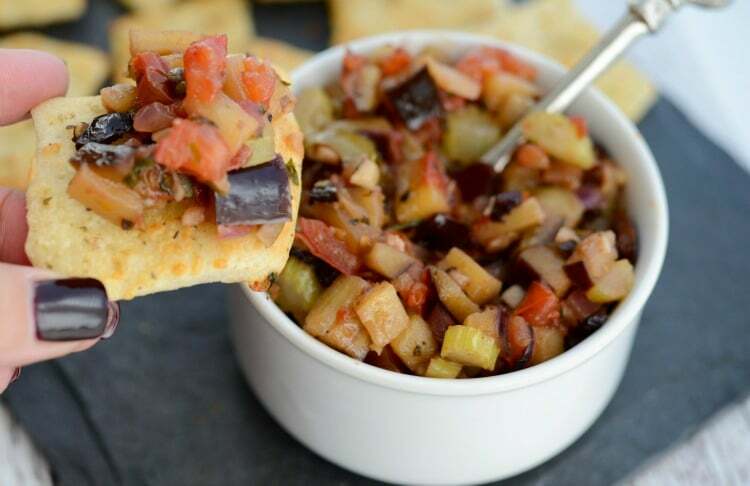 Using a kitchen soup spoon, scoop out the eggplant mixture and place in the hot oil. Repeat for all fritters and flatten them down using the back of a spoon or spatula. Cook 3-4 minutes per side until they are lightly brown and have fluffed up a bit. I really liked these Eggplant Fritters, but the kids…not so much. Though they didn’t eat them right out of the frying pan; which really wasn’t a fair assessment as these do taste much better when eaten right after frying. ~Enjoy! Rinse eggplant under cold water, remove the top and bottom and grate the eggplant using a hand grater or food processor with the grater attachment. Place the grated eggplant in a clean dishtowel and squeeze out any extra liquid; then add to a bowl. 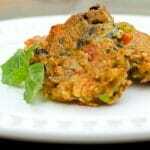 Add the garlic, basil, tomatoes, scallions, egg, flour, and baking powder to the eggplant and mix well. If the mixture is still a little too wet and won't form a small ball without falling apart, gradually add a little more flour. 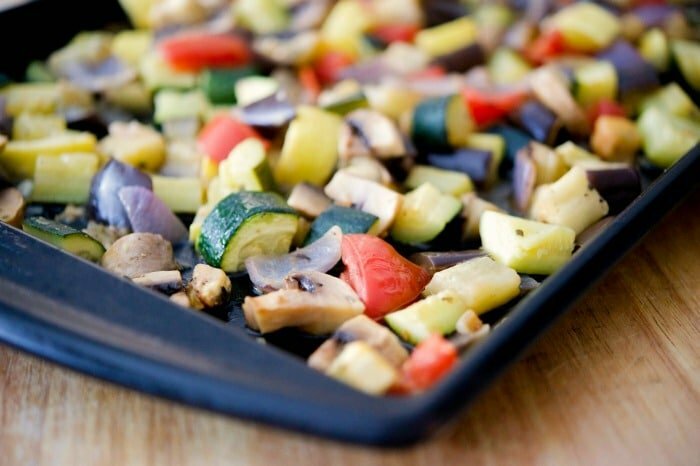 Heat the oil in a large nonstick saute pan over medium to medium-high heat. Using a kitchen soup spoon, scoop out the eggplant mixture and place in the hot oil. 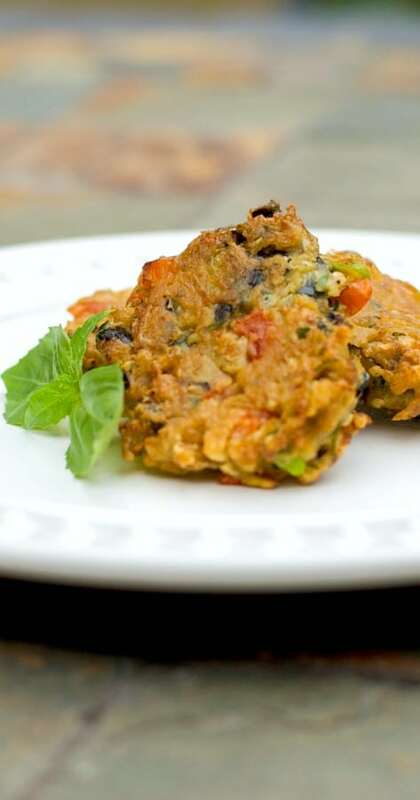 Repeat for all fritters and flatten them down using the back of a spoon or spatula. Cook 3-4 minutes per side until they are lightly brown and have fluffed up a bit. Funny you should feature eggplant. I bought and cooked my very first eggplant over the weekend. A friend at Mahjong last week brought Caponata. I wrote down what she said was in it and gave it a whirl. No one would have known it was eggplant! So now I might give your fritters a try, too!